Enjoy the timeless art of Storytelling! Great for personal listening, school and library collections, family story-times, and car trips. These CD’s also make a unique & unforgettable gift! 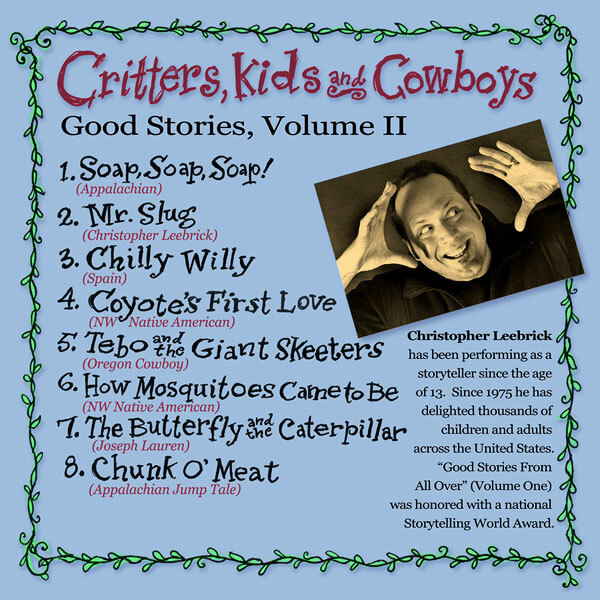 Note: these CD’s feature great cover art by cartoonist Dan Pegoda. Kids love to look for their favorite characters! Click on each CD image below and check it out! Winner of a Storytelling World Award! 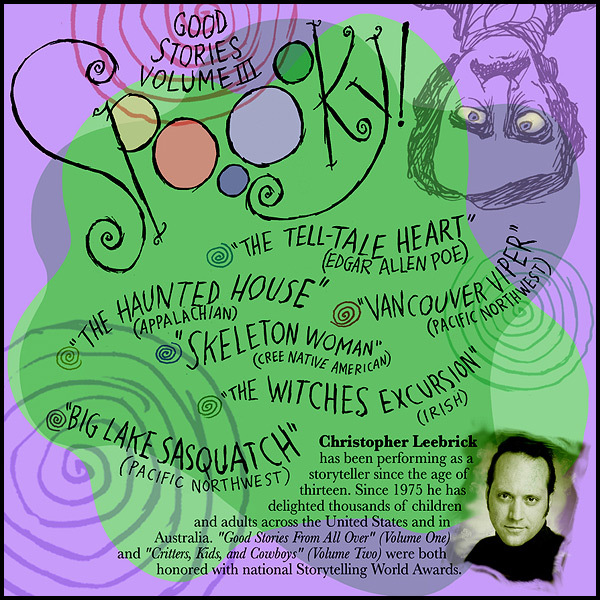 Good Stories Volume III presents another diverse collection — this time featuring SPOOOKY stories! 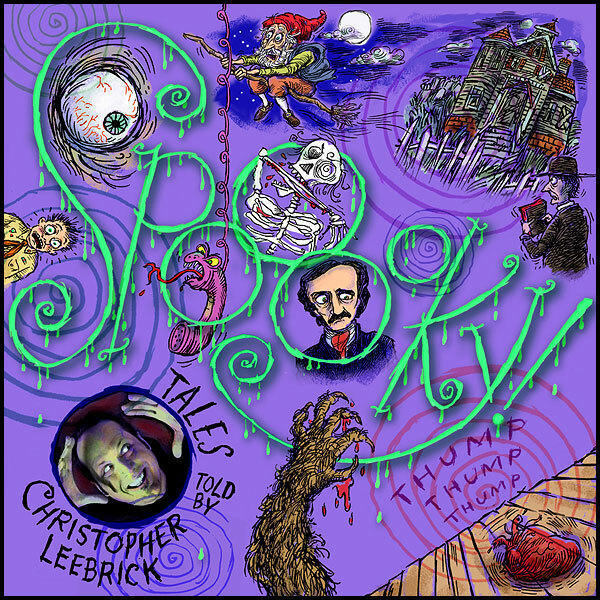 Volume III includes an electrifying rendition of “The Tell-Tale Heart” by Edgar Allan Poe, as well as stories of ghosts, witches, monsters and creepy things that go bump in the night. Recommended for older children, teens, and grownups who still like to get spoooked! Honored with a Storytelling World Award! This diverse collection includes more tales from southern Appalachia, a Spanish ghost story, two northwest Native American legends, delightful narrative poetry, and the further adventures of Tebo Ortego, legendary cowboy of the Oregon high desert. 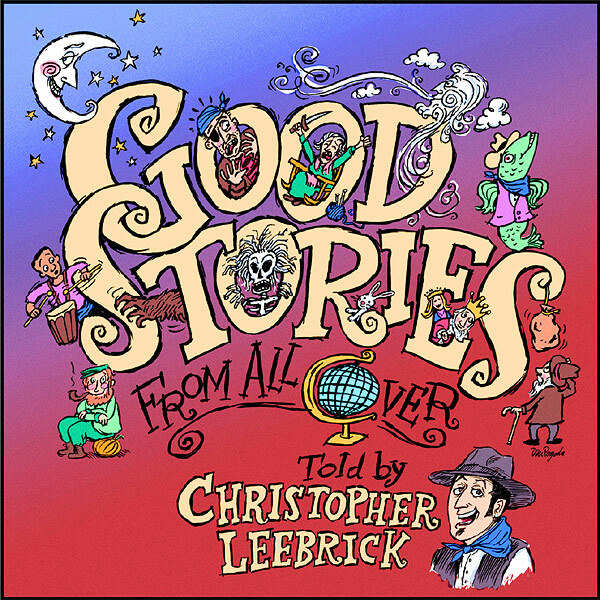 Fun for both children and adults!Good Stories Volume II, told by award-winning storyteller, Christopher Leebrick. 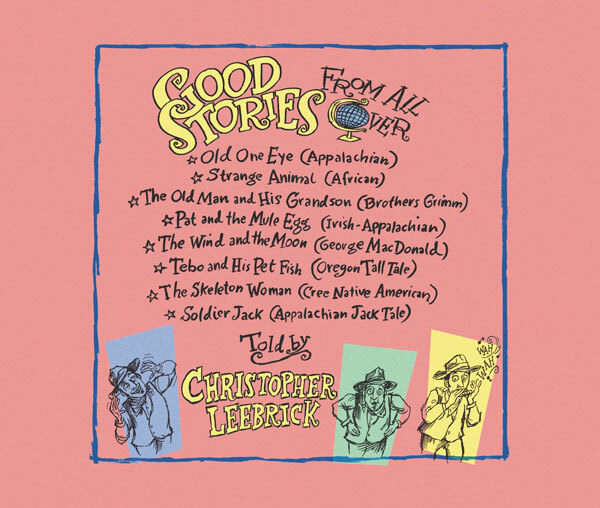 “Good Stories From All Over”, Volume I, is Chris’ first CD and remains one of his most popular. 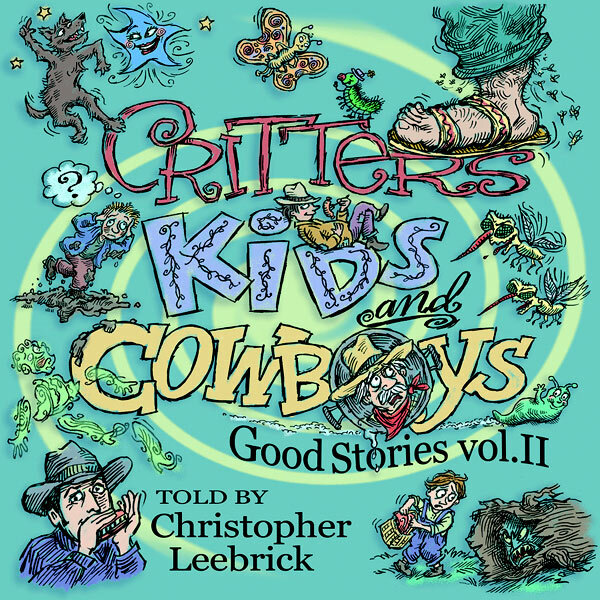 Honored with a Storytelling World Award, this CD is an enchanting multicultural collection and includes folk tales from the hills of Appalachia, a Native American legend, a wonderful adventure story from Africa, a cowboy story from the Oregon high desert, narrative poetry, as well as a little known story from the Brothers Grimm. Check it out! Use Pay Pal or Credit Cards and order now! E-mail your order (I actually trust most people): Contact Us (please specify which CD’s, # of CD’s, and include your mailing address and phone number; the order will be mailed to you along with an invoice). Shipping/handling is $3.00 for single CD’s; + $1.00 for each additional CD.